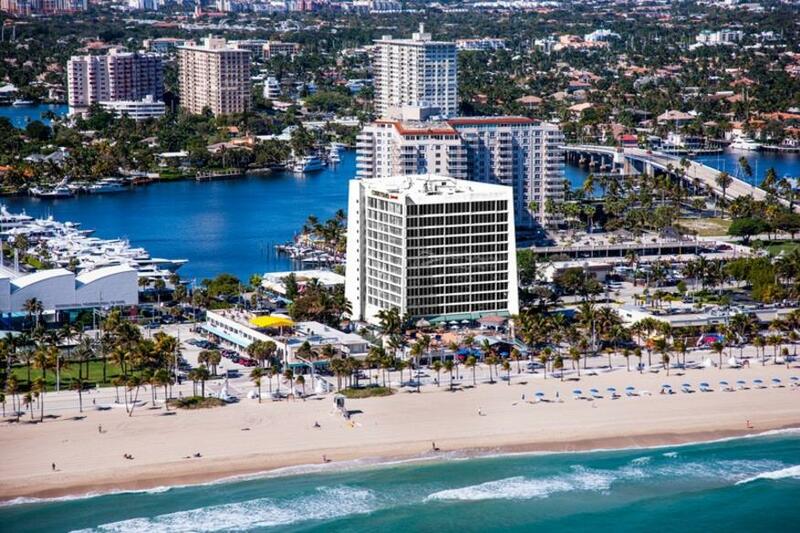 Set between the brilliant blues of the Atlantic Ocean and the breathtaking views of the Intracoastal, the Courtyard Fort Lauderdale Beach is the ideal destination for business or leisure. Adjacent to the hotel is Las Olas Boulevard, offering upscale shopping, fine dining, and evening entertainment. Enjoy spacious accommodations including 88 suites and breathtaking water views. Only 6 miles away from the Hollywood/Fort Lauderdale International Airport. Driving Directions: From 1-95 and the Florida Turnpike exit I-595 Eastbound. Exit I-595 on US 1 Northbound towards Ft. Lauderdale. Turn right on SE 17th Street (A1A) and cross bridge. Follow to Los Olas Boulevard and turn left. Turn left onto Seabreeze Boulevard (A1A South) and hotel is on the left approximately 1/4 mile.